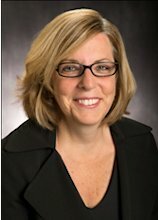 Commissioner Diane Burman, of the New York State Public Service Commission, was gracious enough to be featured as WICE’s first “Member Spotlight”. We thank her for her time and thoughtfulness while answering our questions below. Ms. Burman is a Commissioner at the NYS Public Service Commission. Immediately prior, she served as the Chief Counsel to the NYS Senate Republican Conference. As the chief legislative legal officer she advised the Temporary President o f the Senate on every legislative policy initiative confronting the State. She has held a number of other positions including Special Counsel to the Commission, Assistant Attorney General, Senior Court Attorney, judicial clerk for the State Court of Appeals, Assistant Counsel with the Department of Economic Development, Executive Director of the State PTA, and Director of Pro Bono Affairs for the State Bar Association. Ms. Burman obtained her B.A. degree from Molloy College and her J.D. degree from Fordham University School of Law. Commissioner Burman serves as Vice-Chair of the National Association of Regulatory Commissioners’ (NARUC) Gas Committee. She also is a member of NARUC’s Committee on Critical Infrastructure and NARUC’s Special Subcommittee on Pipeline Safety. She was appointed by the NARUC President to the Gas Technology Institute Public Interest Advisory Committee. She is the Chair of the NARUC- Department of Energy Natural Gas Infrastructure Modernization Planning Initiative. She is also a member of the 2018 World Gas Conference National Organizing Committee. Ms. Burman sits on the Albany Law School Government Law Center Advisory Board and is also on the Board of Trustees of Congregation Beth Emeth in Albany. A transplanted Long Island and New York City resident, she now resides in the Capital District with her husband and their two sons. Q. Please explain your role as PSC Commissioner. A. I look to our rich 110-year history of the New York State Public Service Commission (the Commission) to guide me in my role as a Commissioner today. The Commission regulates the electric, gas, steam, telecommunications, cable and water utilities in New York State. We have a broad mandate to ensure that consumers receive safe and reliable utility service at reasonable rates and with the least adverse effect upon the environment. The Commission stands at the crossroads of the public need for virtually essential core services and the private needs of the shareholder to ensure continued investment in these services. As such, it occupies an incredibly important and unique role in balancing these interests in a way that ensures the most advanced and reliable services while at the same time ensuring they are effectively and efficiently delivered. The critical importance of the Commission’s mission to the economic well-being of the State and its citizens cannot be overstated. For 110 years, the Commission has navigated this weighty responsibility over the years effectively and at the same time assumed a leadership role in developing innovative policies in both the energy and telecommunications areas. In fact, the Commission has generally been the national leader and pioneer on so many fronts. For example, the Commission was the first to forge forward looking competitive telecommunication policies that brought real choice and a dynamic telecommunications market to New York’s businesses and residents, well before the 1996 Telecommunications Act. It also played a leading role in sound competitive energy policies while at the same time being careful to protect the reliability of electric/gas supplies, stability of the companies and consumer protections for energy customers. I am committed to ensuring the Commission continues to add real value for the People of New York. Q. What helps the Commission do its job? A. The Staff. Before this Commissioner role I was never a decision maker. I always worked for decision makers, and I came here as a former Department of Public Service staffer, thus I understand the true importance of a highly functioning and engaged staff. The Commission has a longstanding commitment to substantive decision making and fairness, supported by a highly professional and excellent staff. One of the admirable attributes of the Commission is the devotion and expertise of its staff. Staff members have a commitment to their work on behalf of the public interest, and can provide the Commission with a stability and deep knowledge base which contributes to the excellence of the Commission’s work. We, like those we regulate, are dealing with a sizeable experience and knowledge loss from those of retirement age. Our workforce is vital and we must be laser focused on seeking ways to address current workforce issues and plan for the future. This includes clearly ascertaining and confronting how much knowledge is walking out the doors; properly preparing for and recruiting the next generation of workers and assessing what more we must do to train, retrain and embrace our workforce. Q. Tell us about an interesting project you are working on. A. I am actively engaged in understanding the opportunities and challenges related to our Natural Gas Infrastructure Modernization and Safety initiatives. I am honored to be involved nationally on these issues—through my role as the Vice Chair of the NARUC Committee on Gas, Chair of the NARUC-DOE Infrastructure Modernization Partnership and Chair of the DOT Voluntary Information Sharing Working Group. These national positions allow New York to have a seat at the table on critical issues. The integrity and reliability of our natural gas system is paramount and at the core of that is safety. As a state regulator I am dedicated to working on ways to continue to seek to improve and enhance pipeline safety and reliability. A. I am motivated by the true desire of doing something that makes a real difference. I don’t want my time on the Commission to be a wasted one. We are faced with very exciting, changing and challenging times in the energy industry. There is continued and focused discussion around grid modernization and integrating into the grid new resources, technologies and services. This includes smart meters, energy storage, microgrids, and so much more. All of this in the energy sector presents both opportunities and challenges not only for the industry and regulators but perhaps most importantly, consumers. We don’t have the luxury of getting it wrong. In fact, we must work harder together to find the path forward. Then Chair Paul L. Gioia said in his 1982 message on the Commission’s 75th anniversary, and it is still true today, “as we look toward the future, one thing is clear. The Commission will continue to face difficult challenges in all areas of regulation.” We must be sure our regulations continue to responsibly evolve and adapt, and that we never lose sight of our most important mission, which is reliable and affordable energy service. We also must do so with a focus on safety, the environment and the public. Q. What advice do you have for women who want to excel in the communications and energy industries? A. Two things. One- Get and be a mentor and do so repeatedly. Over the years I have had many mentors in my life and I have been a mentor for many. Each experience whether I was the mentor or the mentee was fulfilling to me. It does not matter where you are in your professional life—one can always learn and one can always help others. Professional growth and happiness is similar to regulation—it is a continual process of learning and evolving. To do so one needs to be mindfully engaged in seeking to learn, adapt, change and become better. It truly can have a profound positive impact on everyone involved. Two- Henry David Thoreau said “It is not enough to be busy—so are the ants…what are you busy about is the real question?” I am cognizant that I have now in my 50 plus years lived longer then my father did. He died hating his work and his life—and he seemed to always be incessantly working and in a frenzied way as the work never stopped. Stop the continuing sense of overwork and overload and take time to make sure you are not spinning your wheels needlessly and take time for yourself and others. Mindfulness of who you are as a person and the joy you want out of life—both personally and professionally is very important. Q. What is your favorite quote that you live by and why? Eleanor Roosevelt’s fear quote is a mantra I live by. Throughout my life I have had times when I have thought I could not do something—whether I thought I did not have the strength to deal with a loved one’s death, my own chronic illness, or didn’t have what it took to go to law school or take a certain job. What I realized for me was at the core was the fear—the fear of my grief, pain or insecurity. So to move forward I have learned I need to push through that fear and despite that fear do the thing I think I cannot do. Q. What is the biggest challenge facing utility leaders today? A. True leadership is not easy-nor should it be. The utility world is becoming more complicated as the utility world we have known is dramatically changing. The biggest change (and challenge) is likely due to technology. We live in a world of digital communication and social media that has dramatically increased the speed of communication and the thirst for such communication to be even faster, more accurate and to instantly solve problems and create investment and customer opportunities and to embrace a desire for an even more reliable, elastic and flexible energy system. We must filter through all this communication and focus on relevant facts and needs and respond with immediate and important decision-making. This makes us all the more accountable due to greater transparency and increased customer expectations. But we also must be prepared for cybersecurity issues and instant consumer and diverse stakeholder feedback that we are not doing enough to solve the issues at hand. These challenges can put constant stress and pressures onto the shoulders of many utility leaders. In good times it is easier to be a visionary leader but when times are tough, resources limited and needs and wants increasing, we must focus on being true leaders who can achieve more with less, motivate and inspire and be laser focused on being well prepared and leading forward.